Hi, everyone! 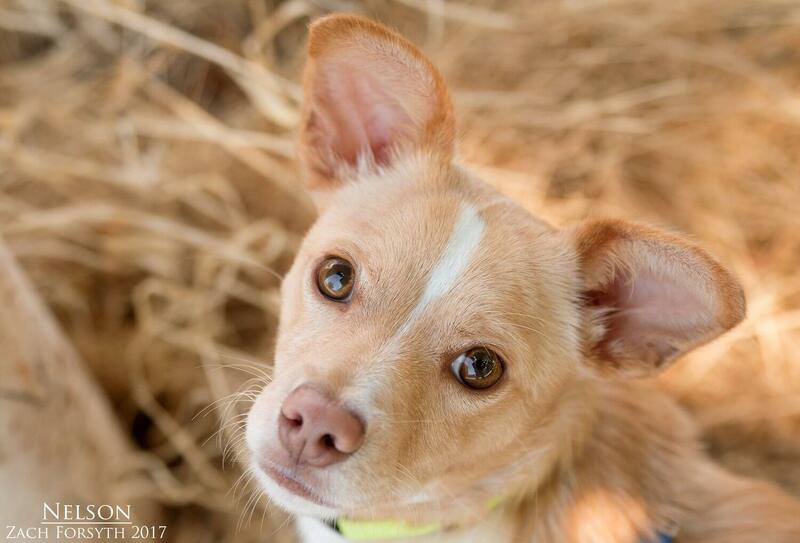 My name is Nelson and I am a cute and fun 1-year-old Chi/Terrier mix weighing around 12lbs. on the younger side, I am quite spunky and have a puppy like charm that will steal your heart! I am full of bounces and play whether it is with my puppy pals, my kitty friends, or my human friends over 6. Though I can be a tad shy at first, I instantly open up with a few treats or one of my favorite squeaky toys. Still working on that fetch, but I am a quick learner and highly trainable as PUPPY CLASSES ARE MANDATORY FOR MY ADOPTION! This will also help with me getting used to the hustle and bustle of the big city, which can be a bit scary sometimes. And after a little practice, I will really enjoy walking around the neighborhood with you on our daily walks! After a long day of playing and activity, I am ready to hop in your lap and cuddle the night away while we catch up on some of our favorite TV shows. My favorite is Bones-ha! Get it? I am such a hoot! And there is plenty more hilarious puppy antics that await, so fill out an application today and I can show you! I come to you neutered, vaccinated, and microchipped with an adoption fee of $300.